Although ‘creepy crawlies’ such as insects and spiders have a bad reputation, they are actually vital for healthy ecosystems. They play essential roles in pest control, decomposition and pollination, and are sources of food for wildlife. Despite these important jobs, we often thoughtlessly kill these creatures though the broad use of insecticides (which can also affect humans, pets and wildlife!). The aim of Dr Lizzy Lowe’s research is to reduce insecticide use in cities and create healthy urban spaces that support biodiversity of all shapes and sizes. As an urban ecologist Lizzy is passionate about working with local communities to improve the health of our cities. She has a particular passion for raising the public profile of underappreciated animals such as spiders, and encouraging engagement with nature in cities. You’ll often find her out leading ‘spider walks’ for community groups or chatting on radio about why we should love ‘creepy crawlies’. 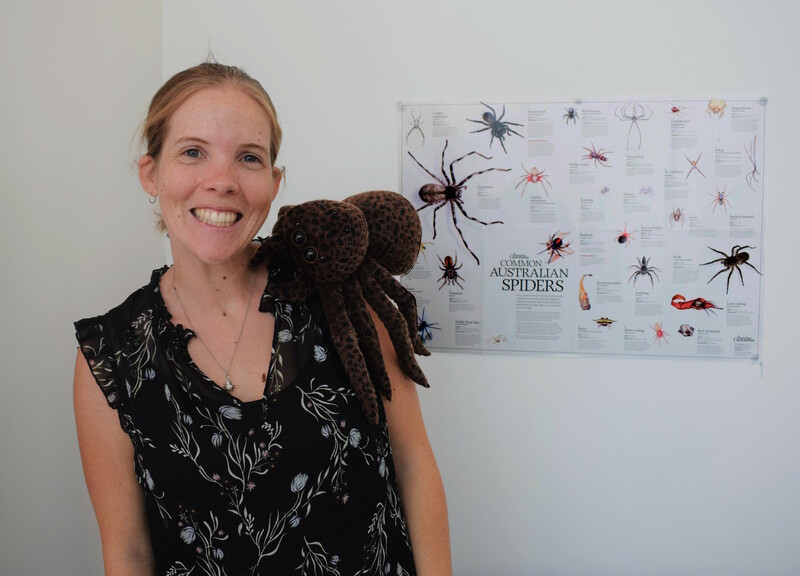 Lizzy completed her PhD at the University of Sydney in 2016 where she studied city spiders. She then undertook a post-doctoral fellowship at the University of Auckland and is now back in Sydney, loving her role as a postdoctoral researcher at Macquarie University.